Two worlds collide here with an unctuous, steamed pudding and sweet, sticky oranges. Steamed puddings are a stalwart in every traditional kitchen repertoire, this steamed orange sponge pudding leaves behind the heavy, one dimensional reputation and replaces it with a light and sticky pudding that is a joy to eat. Zest the oranges, reserving the zest. Heat the juice of one orange and the sugar gently until the sugar dissolves. 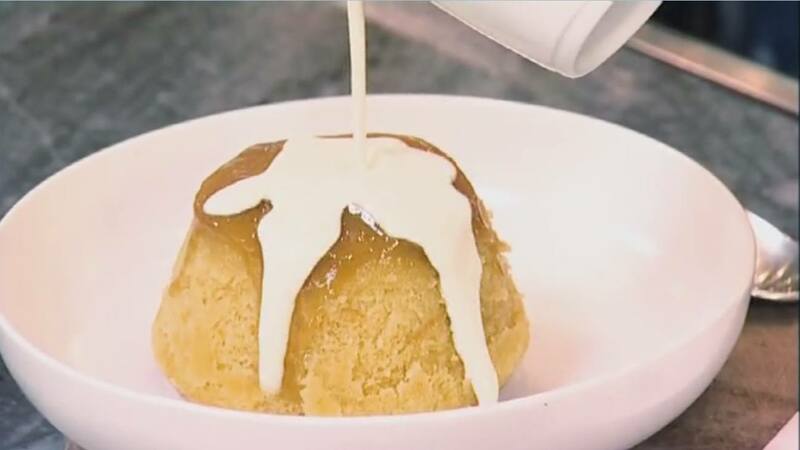 Pour the syrup into a small pudding basin and allow to cool while you make the rest of the mixture. Cream together the butter and sugar until pale, light and fluffy. In a separate bowl, crack and beat the egg. Add the egg to the butter mixture slowly, whisking through. Add the juice of the remaining orange and the zest of both. Fold in the sieved flour to finish the batter and pour over the syrup. Cover with a double layer of greaseproof paper, secured with an elastic band and steam gently for 45 minutes. Remove and allow to rest before serving with pouring cream.